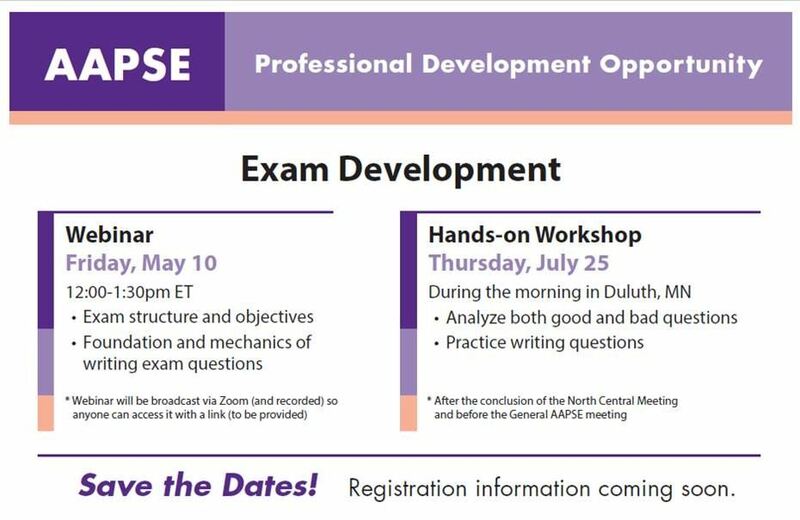 Please join our fellow AAPSE members to learn about the principles to exam development. Continental breakfast, breaks, and lunch included - Registration information coming soon! During this workshop we will analyze and construction exam questions using the tools reviewed during the webinar on May 10. Agenda details to follow.